If you didn’t plan on celebrating National Donut Day, on Friday, June 2, you should probably rethink that. l came up with a delicious White Russian Recipe, with cold brew coffee, that pairs perfectly with a donut or 12. And I’m also part of a really fun blog hop put together by Dawn of Revel and Glitter! So when you’re done here, scroll down and check out the other posts from 9 other bloggers! Nothing goes better with donuts than coffee. And milk. And a little booze. I’ll be the first to admit that my donuts are generally enjoyed without an alcoholic beverage (unless on vacation, I reserve my imbibing until well after 5 pm). But a national day celebrating the donut?! That calls for a cocktail! 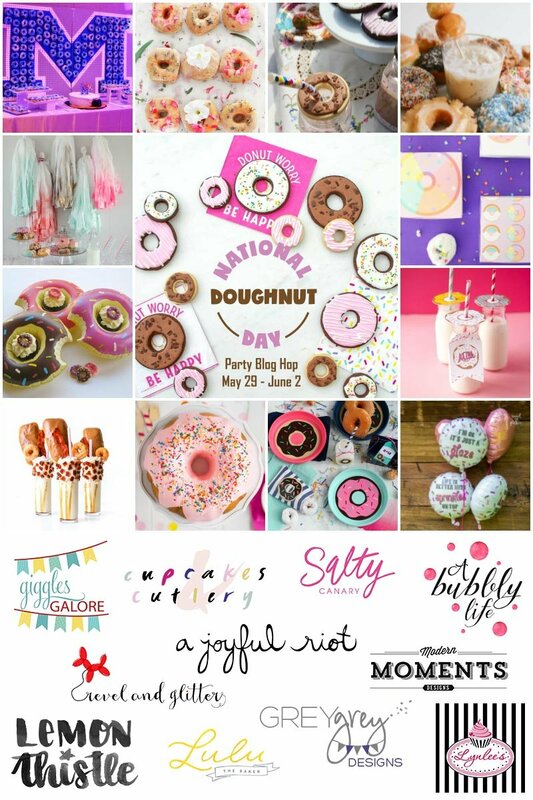 This post is part of a fun blog hop where a group of super creative gals are creating content to celebrate the donut. When I was asked to participate and create a cocktail recipe I cringed. I don’t enjoy sweet drinks so the idea of creating a donut inspired cocktail immediately put me off. Until I thought about the coffee aspect. Then it made perfect sense to me. This White Russian recipe with coffee is a match made in heaven for the sweet donut. I’m totally a fan of the White Russian! To keep things simple, I picked up some cold brew coffee from the store, along with some cream. I love me some coconut rum, so I already had that on hand. And I’m kind of obsessed with cinnamon right now. It goes with almost everything. I grabbed my trusty cocktail shaker and added all the things. Yum. Add the ice. Shake it vigorously. Pour over ice. Finish with a skewer with donut holes. Duh. This White Russian recipe is refreshing and the perfect counter point to the sugar donut. The coconut rum smooths out the acidity of the coffee and the touch of agave makes it super easy to drink. This makes for a great brunch cocktail idea too! And if you want to make a large batch, just check out this other White Russian recipe I created! MMMMMmmmm. This is the perfect brunch cocktail idea. If you're a White Russian fan, you'll love this version with cold brew. To a cocktail shaker add the cold brew coffee, coconut rum, heavy cream, cinnamon and agave. Strain over fresh ice in a low ball glass. First it was our donut party giveaway, and yesterday we kicked things off with 3 fabulous blog hop projects. Today we’re got 2 more projects. Please hop over and check them out! 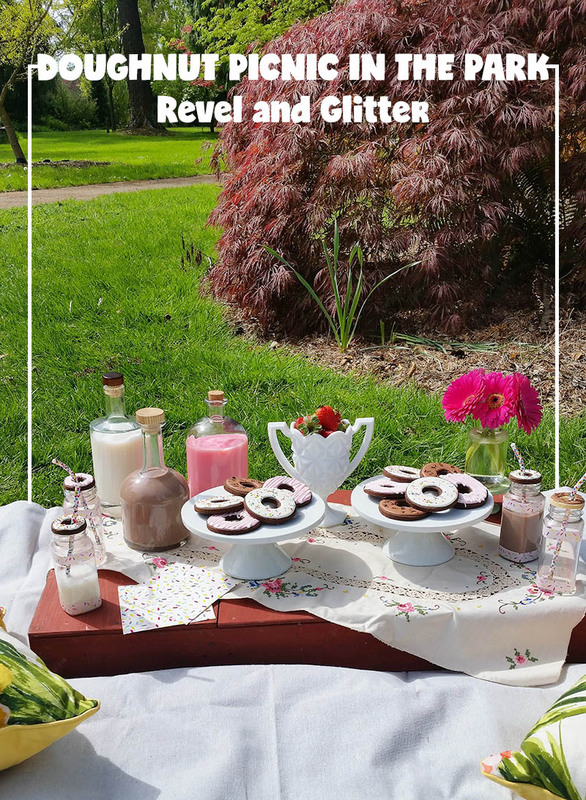 I wish someone would plan a Doughnut Picnic in the Park like this one from Revel and Glitter! I LOVE the idea of a flavored milk bar! And those donut cookies are too cute! 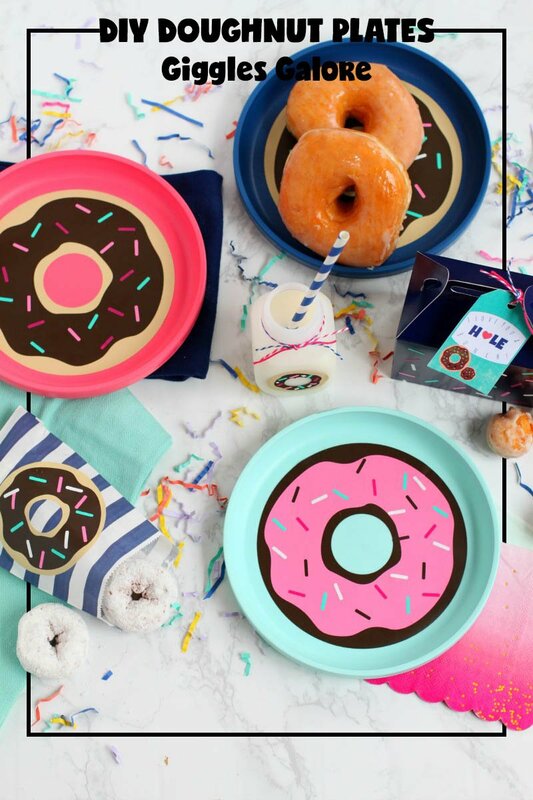 These DIY doughnut plates, made by Giggles Galore are SO cute! My kids would love these plates for sure! Don’t forget to check out the rest of the amazing participants above! And head over to our donut themed Pinterest board: Always Time For Doughnuts. Try this Blackberry Whiskey Lemonade Cocktail. I can’t wait to make this Sangria with Iced Tea recipe again! Try Bitters and Soda when you aren’t quite ready for happy hour.